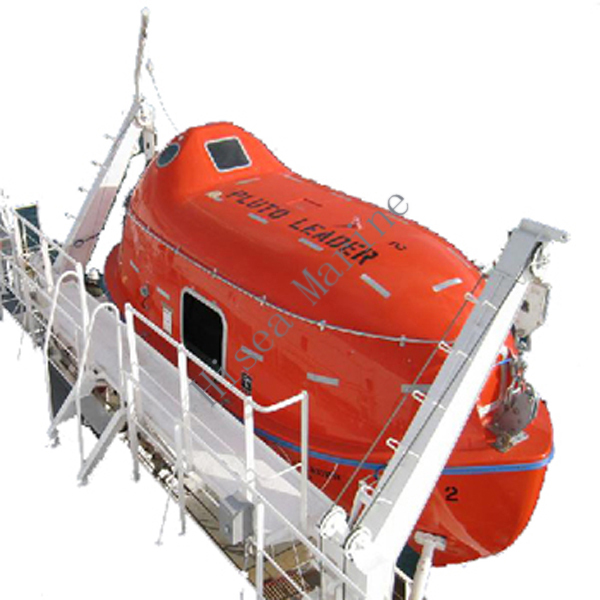 Davit A-type for rescue boats (RRB): A-frame hydraulic pivoting davit system specially designed for handling rescue boats. 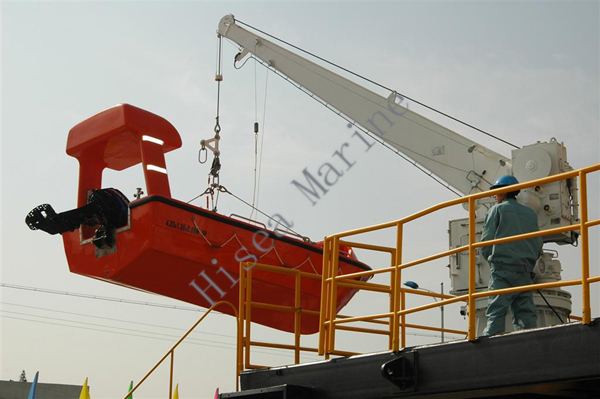 This lightweight and very compact davit system is equipped with a self-contained hydraulic power pack unit and electric rescue boat winch. 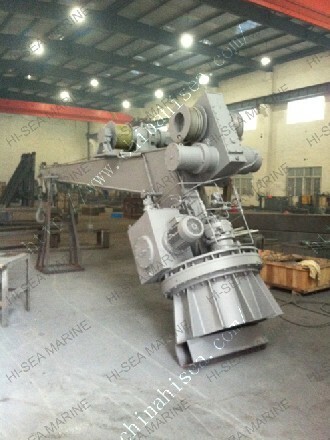 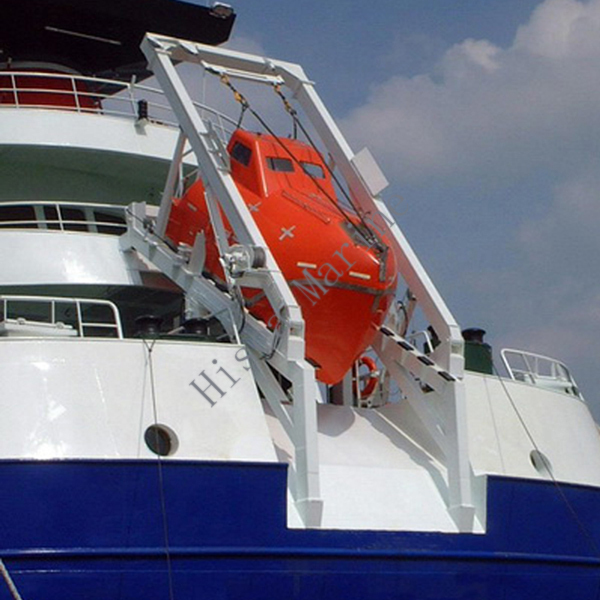 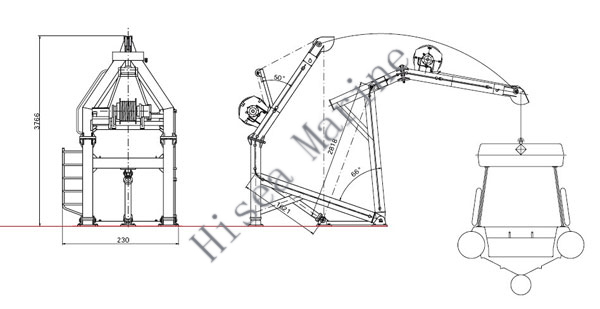 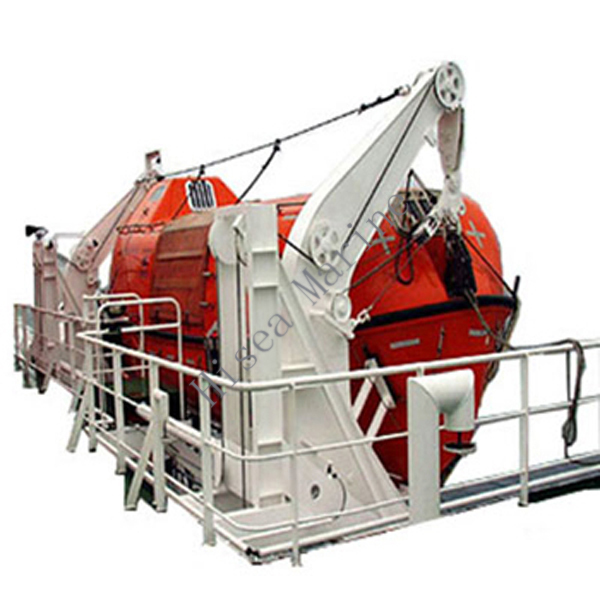 Davit A-type for fast rescue boats (FRB): Hydraulic pivoting A-frame davit suitable for handling (fast) rescue boats. 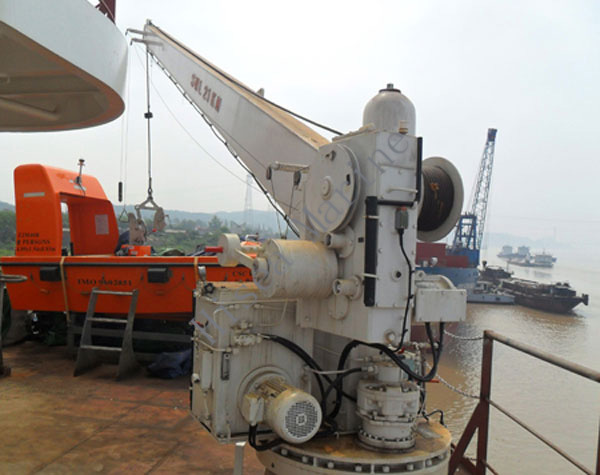 The davit system is equipped with a self-contained hydraulic power pack unit and an electric rescue boat winch. 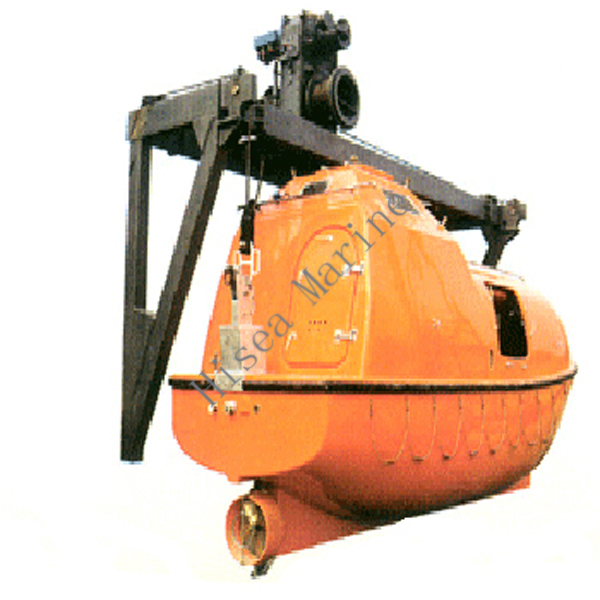 The system can also be delivered with a hydraulic winch with a constant tension system. 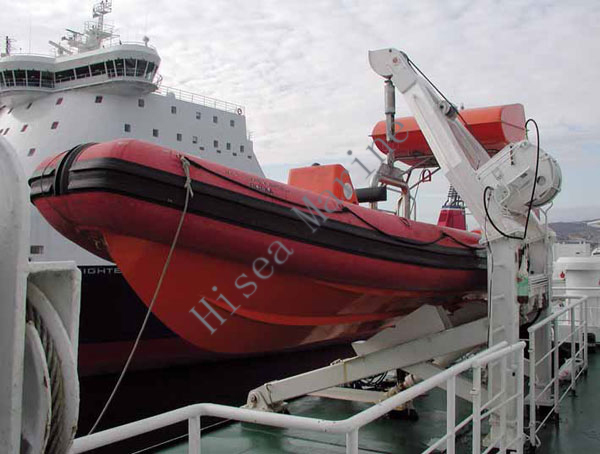 (Ro/Ro passenger Ships). 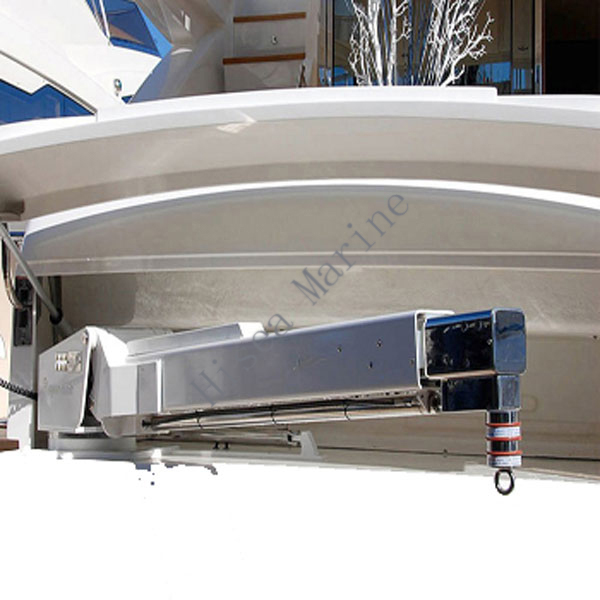 A wellproven hydraulically operated anti-pendulum system can also be fi tted onto the davit head. 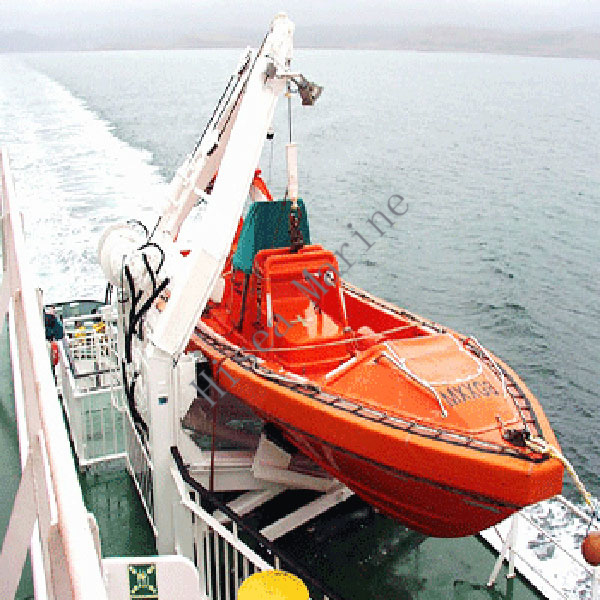 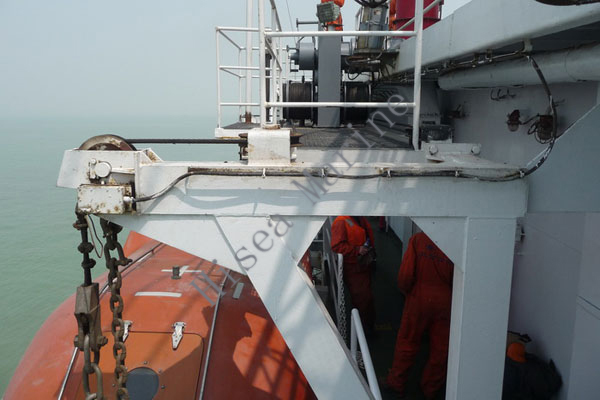 Related products for "A-type Fast Rescue Boat Davit"